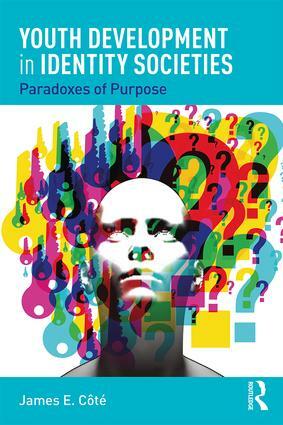 This book explores the causes and consequences of the contradictions in young people’s lives stemming from the affluence–purpose paradox: a lack of purpose-in-life among many of those living in the most affluent societies in human history. This paradox is endemic to identity societies where people experience a choice-contingent life course, and is examined using an interdisciplinary approach—largely with an integration of developmental psychology and sociology, but also using historical, anthropological, economic, and political perspectives.The transition to adulthood is now commonly a prolonged process, with young people facing a number of psychological challenges and sociological obstacles in their identity formation. Challenges include difficulties in making prudent choices about goals. Obstacles involve cross-pressures in the wider society as well as in educational institutions. Consequently, many youth experience their education as alienating and stressful rather than as an opportunity for personal development. Those without a sense of purpose have more difficulties with their identity formation that can produce symptoms of anxiety and depression. The current student mental health crisis is examined in this context. An additional challenge is an ambiguously defined adulthood. Young people who are confused about appropriate adult roles often value hedonistic activities rooted in narcissism and materialism rather than in more fulfilling long-term goals. Conversely, those who are agentic in their personal development can thrive in adulthood, especially when they combine agency with generativity. This book ends with a series of recommendations for researchers and policy makers to help youth cope with the affluence–purpose paradox. James E. Côté is a Professor of Sociology at the University of Western Ontario. He is the founding editor of Identity: An International Journal of Theory and Research (2000-05), current Associate Editor of the Journal of Adolescence (since 2009), and co-editor of the Routledge Handbook of the Sociology of Higher Education (2016). James served as President of the Society for Research on Identity Formation (SRIF) (2003-2005) and President of the International Sociological Association’s Research Committee on the Sociology of Youth (2010-14). In addition to dozens of journal articles and book chapters, he has authored or co-authored ten other books in the areas of identity studies, youth studies, and the sociology of education, most recently Identity Formation, Youth, and Development: A Simplified Approach (2016) and Youth Studies: Fundamental Issues and Debates (2014).